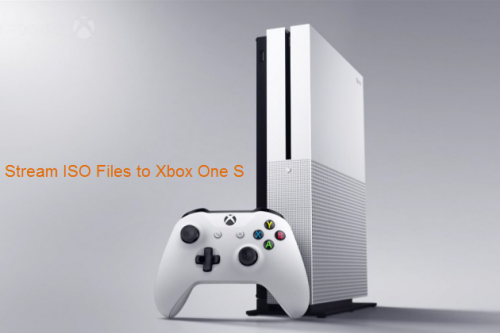 Can Xbox One S Play ISO Files via DLNA Server or Connected USB Drive? An ISO image file is a snapshot of the data, system information file and layout of a disc. Information like number of audios / videos track, subtitle file, chapters' information and main screen. So ISO is an image file of the disc which contains both "data" and "formatting". 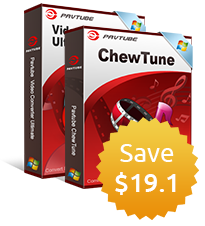 Here, you can get the job easily completed with a simple and workable solution called Pavtube BDMagic for Windows/Mac (best Blu-ray Ripper Review). Just load ISO image file into the program, you can then effortless convert ISO to Xbox One S plyable file formats with just few clicks. What's more, the built-in profile settings function enables you to achieve the best video and audio playback settings for Xbox One S by tweaking the output video codec, bit rate, resolution, frame rate and audio codec, sample rate, channels or bit rate. Besides ISO image files, the program also gives you the option to convert region locked Blu-ray/DVD, Video_TS files or other incompatible digital file formats to Xbox One S readable file formats. Step 1: Load ISO image files. Start the program on your computer, click "File" > "Load from folder" button to import ISO image into the program. Click "Format" bar, from its drop-down options, select one of Xbox One S supported file formats such as "H.264 HD Video(*mp4)" frop "HD Video" main category. Tips: You can get better output quality by flexibly tweaking the output video codec, resolution, frame rate, bit rate, audio codec, bit rate, sample rate or channels. 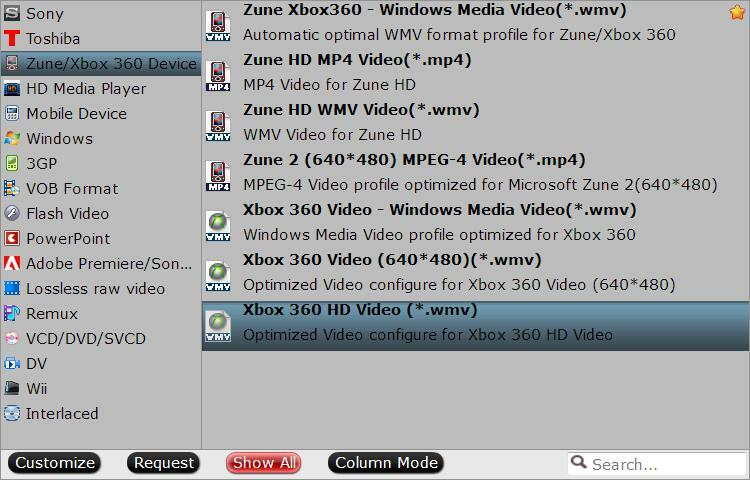 You can also select to output Xbox One S preset profile formats by following "Zune/Xbox 360 Device" > "Xbox 360 HD Video(*.wmv)" which can also work on Xbox One S.
Step 3: Start ISO image file to Xbox One S conversion. Tap the "Convert" button in the right-bottom to begin the conversion from ISO file to Xbox One S media player app readable formats conversion process. After the conversion is completed, you can stream video to Xbox One S via USB drive, DLNA Server or Plex Media Server.